At UPL, sustainability is embedded in our long term business strategy as we continue to add value for our environment towards the journey of inclusive growth. We incorporate sustainability in our decision making process and have defined clear responsibilities within the organization. Through constant dialogue with stakeholders, internal analysis coupled with our extensive experience, we are continuously refining our understanding of significant topics and trends as well as potential opportunities and risks across the value chain. We understand that in today's world we need to adapt ourselves in line with changing natural and business environment. Being a water intensive industry, we have to continuously innovate and evolve in order to counter the challenge of changing weather pattern and water scarcity. We strive to develop products that not only serve our business purpose but also help our customers save water thereby ensuring a sustainable future. UPL has been consistently undertaking initiatives to eliminate emissions, reduce effluent discharge and ensure safe waste disposal. We have deployed dedicated green cells across all units , and invested in process intensification to reduce chemical oxygen demand at the source. We have been able to reduce emission across our operations by changing energy mix, implementing energy efficient equipment and effective monitoring mechanism. In line with our goal of becoming sustainability leader in our industry we have prepared a Sustainable Development Plan which is testimony of our commitment for continual improvement, smarter innovation and efficient resource utilisation. Looking back at the efforts we have undertaken to create a meaningful positive environmental impact motivates us to explore even more possibilities to continually improve. Global warming and its impact on climate pose an enormous challenge to the world and as a responsible organization we are committed to work towards lowering our emissions through implementation of energy conservation measures. We have designed and implemented various initiatives including waste heat recovery, use of energy efficient technology with an objective to reduce carbon emission. We have primarily focused on changing our energy mix and reducing specific energy consumption in order to optimize available energy sources. We have also assigned a dedicated budget to implement energy efficiency technologies and projects which collectively have the potential to substantially cut down our energy consumption. In order to increase our renewable energy portfolio, we have signed green power purchase agreement of 4.2 MWh for wind energy. 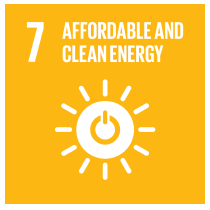 Our continuous endeavor to increase share of renewable energy in overall energy mix through innovation and investment in improving energy efficiency across our operations are in line with SDG- 7 : Affordable and clean energy. Waste heat recovery from incinerator. Cooling water was pumped through circulation pump to cool refrigerant in surface condenser at condensing temperature of 40o C, which was resulting into significant power consumption in the compressors. Surface condenser was replaced with evaporative condenser to bring down the condensing temperature. In evaporative condenser refrigerant vapour to be condensed is circulated through a condensing coil, which is continually wetted on the outside by a recirculating water system and air is pulled over the coil, causing a small portion of the recirculating water to evaporate which in turn removes heat from the vapour in the coil, causing it to condense. This has resulted in reduction of condensate temperature to 36°C leading to significant reduction in power consumption as shown below. Earlier waste heat recovered from hot condensate and flash steam at GF-3000 plant was pumped to cooling tower at 100°C which used increase cooling tower load. Now, the waste is used to preheat DM water from power plant. In first Plate Heat Exchanger (PHE) DM water is heated through hot contaminate and then through flash steam in other PHE. Thereafter, it is mixed with pure condensate from VAM and sent to GF-3000 condensate tank 02, to the De-aerator of power plant. In PRV stations kinetic energy of steam used to get wasted while reducing pressure from 23 barg to 4 barg. Whereas, the same pressure-reducing function can be performed by a backpressure steam turbine while converting steam energy into electrical energy. All three existing pressure reduction stations were bypassed by installing 180kw backpressure turbine that produces energy while reducing steam pressure at the same time. The energy produced can then be directly connected to an electrical distribution panel board. Due to inadequacy of existing steam operated pressure pump, flash steam from higher pressure condensate was getting released to atmosphere. 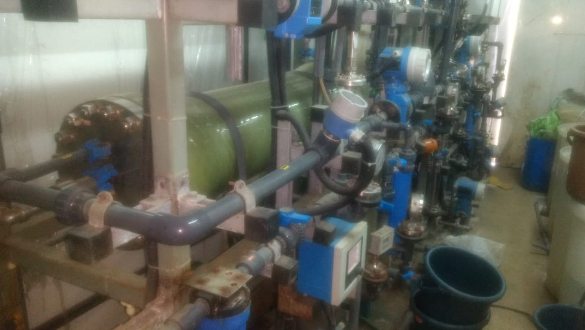 In order to recover the flash steam, closed loop flash jet pump has been installed at CS2 plant wherein recovered flash steam is being rerouted to deaerator make up water preheating to reduce live steam consumption in deaerator. 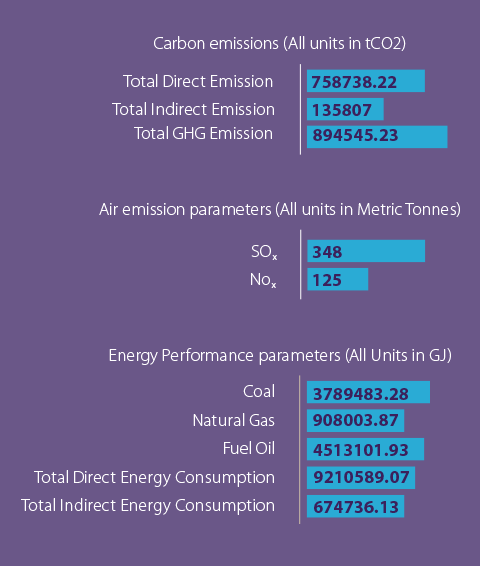 At UPL, we are continuously working towards reducing GHG emission across our operations through various climate change mitigation measures e.g improvement in energy efficiency, deployment of new technology and process modifications in line with SDG 13- Climate Action. 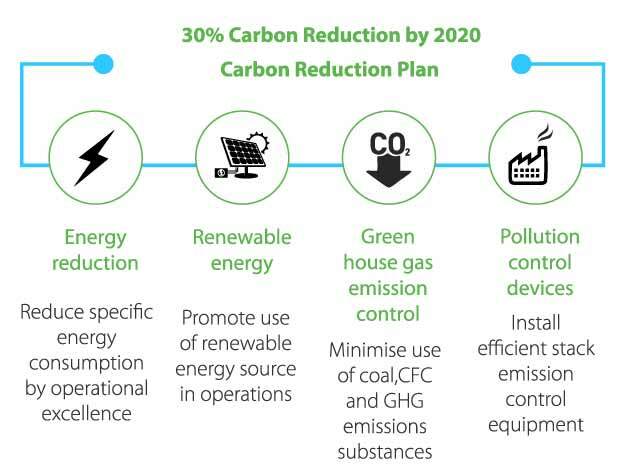 We have a Sustainable Development Plan as well for effective climate change related planning and management. The Earth's water resources are unequally distributed and are threatened by increasing pollution and overuse. Hence, it is imperative for us to reduce water consumption not only during the production stage but across the entire value chain. We regularly monitor our water consumption and decide action plan as we continue to emphasise on improving productivity and plant utilisation to reduce specific consumption of water. In order to minimise our water footprint we reuse as much water as possible in our processes, through initiatives like rainwater-harvesting and waste-water treatment. We are compliant with all local and national laws related to effluent discharge. We have undertaken various other initiatives across our manufacturing plants with an aim to decrease abstracted water demand in our operating plants. 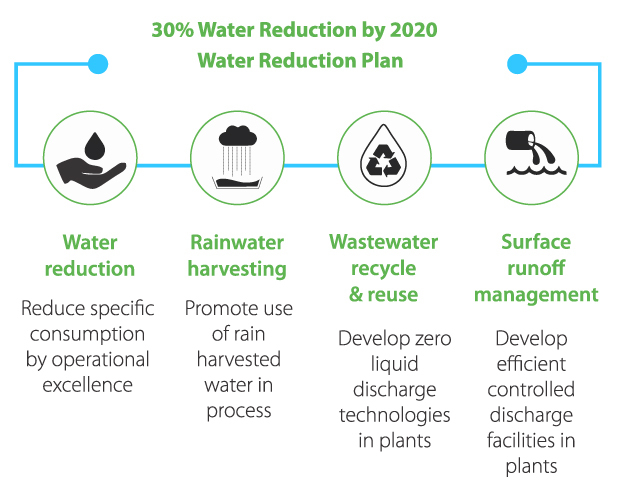 Our water conservation initiatives are aimed towards reducing water requirement in our operations and reducing discharge of waste water by innovation recycling technologies. 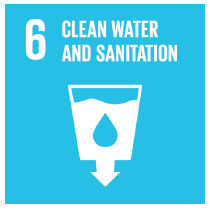 This way we are also fulfilling our commitment to SDG Goal 6 - Clean water and sanitation as we continue to increase water use efficiency and ensure sustainable withdrawals across our operations. We achieved Zero Liquid Discharge at Tarapur Unit10. Enhanced the RO water utilization by 57% in last two years at Jhagadia Unit 5. Utilized the water from hot water bath in drum detoxification in Ankleshwar Unit 3. 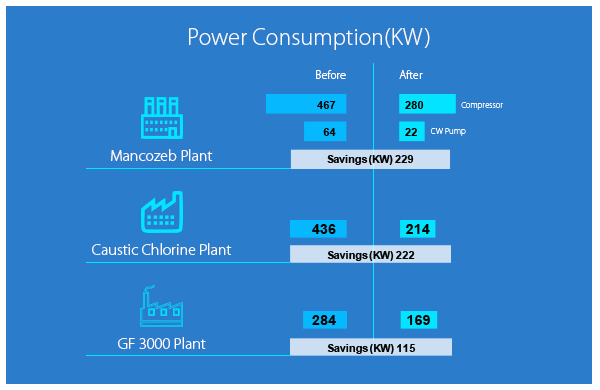 Reduced water consumption in Clomazone and Devrinol production in Ankleshwar Unit 2. Reduced water consumption in Aluminium Phosphide and Red Phosphorus production in Vapi Unit 0. 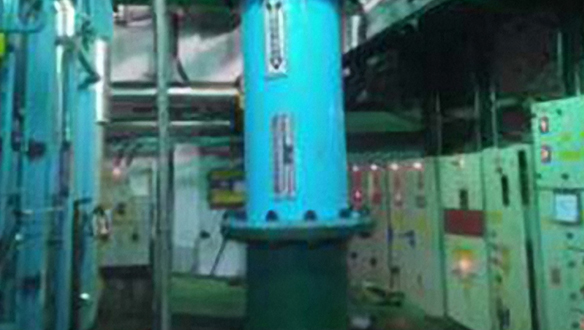 Last year we installed Volute dewatering press at Jhagadia Unit- 5 as pilot study. After achieving satisfactory results, we have implemented the technology this year at Unit- 5 Jhagadia and Unit- 10 Tarapur. Volute is sludge dewatering equipment which can be operated on continuous basis instead of batch process like filter press. 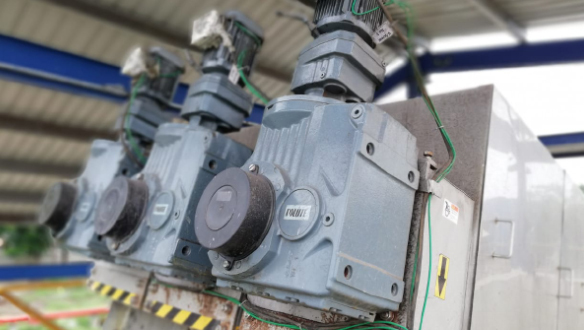 It is more energy efficient and less noise generating than any other continuous dewatering equipment like centrifuge, belt filter press, and screw press. It also helps us reduce manual operation and man power in sludge handling. Through this technology, we are able to get 30-35 % dry solid as dewatered sludge. We have also installed similar equipment at our new ETP at Tarapur plant Unit-10 with capacity of 1m3/hr sludge handling capacity. The technology has enabled us in efficient management of sludge generated from our waste water treatment plant with reduced manpower. SCALEBAN™ is a patented, mechanical, static and non-chemical water treatment equipment provided by Scaleban Equipment Private Ltd. It can utilise effluents like RO reject water and ETP treated water as make up water in cooling towers in place of fresh water / soft water. Its art of design technology prevent scaling in heat exchange during usage of high TDS water or treated effluent. Last year we piloted the Scaleban technology at Unit-1 and this year we have implemented it at operational level .During piloting, we found that we can utilise the treated effluent as feed water and recirculate it till we get TDS around 100000 ppm without impacting the cooling efficiency and scaling of heat exchanger pipes in cooling towers. This will save around 400 KL/Day make up water in cooling towers, besides reducing RO energy consumption and overall effluent discharge and treatment cost. We plan to implement this technology at Unit-5 in FY 2018-19. During FY 2017-18, we constructed new 120 KLD ETP at Unit-10 in Tarapur MIDC, Maharashtra. This is a Zero Liquid Discharge (ZLD) ETP designed using modular concept which comprises of advanced waste water treatment technology like Volute Dewater press, MBBR, DAF, UF and RO followed by MEE. We used Bolted glass fused tank as MBBR reactor for the first time in this ETP to reduce time and cost. Also, due to its modular design we were able to construct the ETP within 630 square meter area excluding MEE plant. Currently, we have fully functional ETP at Unit- 10 which is our third ZLD technical pesticide manufacturing facility after Unit- 2 (Ankleshwar) and Unit- 4 (Halol). Forward osmosis (FO) is an emerging effluent treatment technology in Zero Liquid Discharge scheme which we piloted at Unit-5 (Jhagadia) on treated effluent. In traditional Reverse osmosis (RO) plant requires high reverse osmotic pressure on membrane which leads to more energy consumption to get higher recovery rate and reject concentrate. This in turn increase energy consumption in Multi effect evaporator to concentrate the effluent. FO requires less energy as it acts similar to natural osmosis process using Draw solution generating less osmotic pressure than RO. 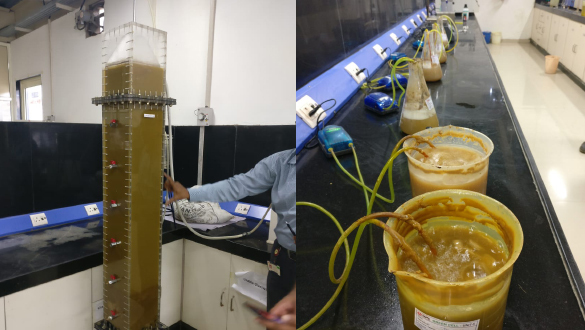 During pilot phase, we fed treated effluent from ETP and achieved around 70-75 % recovery rate in permeate and around 15-20% concentrate in reject. We are committed towards reducing waste in our daily operations as we aim to continue making our operations more efficient. As a responsible corporate , we aspire to nullify our waste to landfill, closing the end-of-life loop and finding value in the waste material generated. We have invested in technologies to extract value from waste and create new products, thereby reducing our waste footprint. Effluents generated are treated to meet the most stringent regulatory requirements and processed with innovative technology to recycle thereby achieving zero liquid discharge in most of our manufacturing units. In order to minimize the volume of packaging waste, we are working towards using smart packaging. We have undertaken conscious efforts to use resources as efficiently as possible and simultaneously work towards reducing emissions and waste generated. Reduction from baseline in waste disposal per tonne of production in the Company's manufacturing plants In 2017-18. Unit- 01 Ankleshwar has done waste reduction by producing saleable grade sodium sulphate, earlier wet salt of approx. 12 MT / day was being sent to Treatment Storage Disposal Facility (TSDF) site- Bharuch Enviro Infrastructure Limited (BEIL), Ankleshwar. UPL Unit-01, Ankleshwar was using 50 MT/day of Lime in Ammonia recovery plant. This was handled in 50 Kg bags and lime dusting was a problem. The unit has implemented " Lime Bulker" and closed transportation and handling. This eliminated lime dusting and loss of lime. Housekeeping in and around plant was improved. 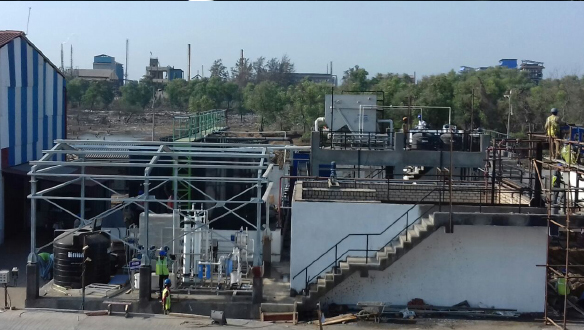 Unit- 01 Ankleshwar has done reduction of DCP sludge (Di Calcium Phosphate sludge) which was earlier sent to landfill as this is now sold to end-users as by-product which reduces solid waste quantity going to TSDF site- BEIL, Ankleshwar. Converted the process waste of Pendimethalin and Glufosinate plant into sellable by-products in Jhagadia Unit 5. The Canteen and Meeting building at Jhagadia was designed as a green building project. The material used to construct this building is recycled material. The waste water generated in canteen building is fed into the biogas plant. The output water that comes out from the biogas plant is fed into the treatment unit (Polishing Unit) where water treatment is done and the treated water is used for landscaping, mopping & cleaning. Since the amount of treated water available is greater than the re-use requirements in the building and irrigation, the remaining treated water is diverted to underground tank from where it is taken to the 3 Cooling towers of the Plant (which have a combined requirement of 1,80,000 liters.). The sludge of solid waste shall be transferred to biogas system to generate biogas and will be treated as organic fertilizer after the usage. We ensure that adequate control procedure is in place to prevent spills during the operational activities. We have developed a spill clean-up procedure for our manufacturing locations which aim to minimise impact on ecosystems leading to exigencies. 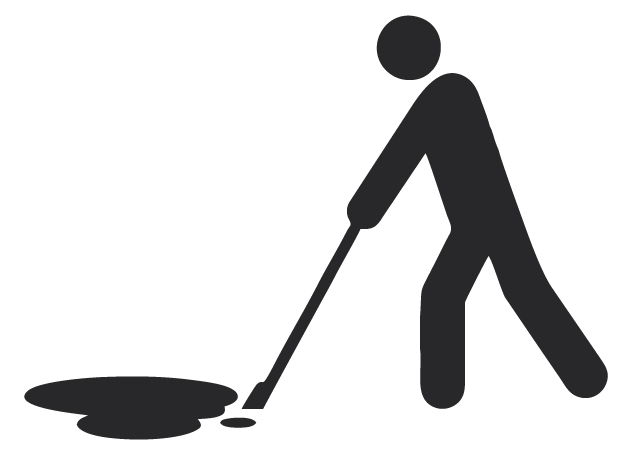 There have not been any significant spills at our facilities during FY 2017-18. 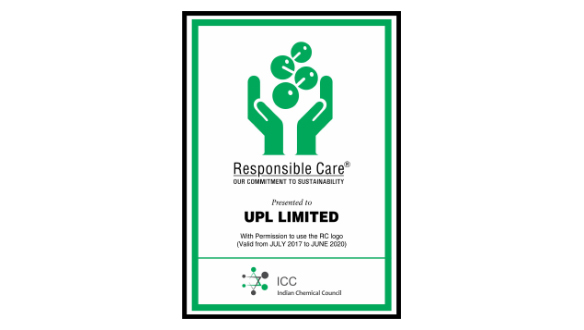 At UPL, we understand that our core business activities comprising of development, production, processing and transportation of chemicals demands a responsible approach. In line with one of our core values “Nurturing the Environment” we systematically address risks with a very high standard of compliance and sustainable eco-friendly practices. We expect our employees and contractors to know the risks of working with our products, substances and plants and handle these responsibly. Our environmental policy addresses the need to minimise the adverse effects arising out of industrial chemical and agrochemical manufacturing process and is applicable to all our internal and external stakeholders across the value chain. We have a structured risk management framework in order to identify key risk arising out of our business operations and implement comprehensive control mechanism to mitigate the identified risk. We are able to identify new risks as well through this framework in case of any process modification or technology upgradation. Across all our manufacturing units we have formed a dedicated Green cell comprising of engineers and researchers headed by senior level directors to carry out research and innovate smarter solutions focusing on waste management and carbon footprint reduction. As a responsible corporate, we consider legal compliance as one of the top priorities . We ensure that our operations comply with country specific legal requirements and are committed to go beyond the minimum standard set by regulatory bodies which will enable us to get competitive advantage in near future. At UPL Limited, we believe that Sustainability is the best opportunity for business to drive smarter innovation and profitable growth. 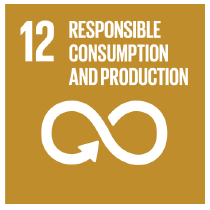 Sustainability ensure a fair society, living within environmental limits and creating a sustainable profitable business. We are constantly working to reduce environmental footprint and find innovative product solutions that benefit the environment. Our environmental standards apply worldwide. Our commitment to environmental protection, health and safety extends beyond the scope of legal requirements. In the case of acquisitions we examine prior to the transaction whether the applicable environmental and occupational safety regulations and fundamental employee rights are complied with at the production sites in question. We are committed to the chemical industry's Responsible CareTM initiative and have set out the basic principles of this commitment in our Global Environmental Footprint Reduction Plan. We have certified HSEQ management systems in place to control operational implementation of these principles. 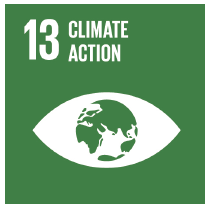 The United Nations (UN) adopted the “Agenda 2030” with a total of 17 Sustainable Development Goals (SDGs) in September 2015. These goals are designed to offer solutions to overcoming global challenges such as poverty, hunger, inequality, climate change and numerous others. 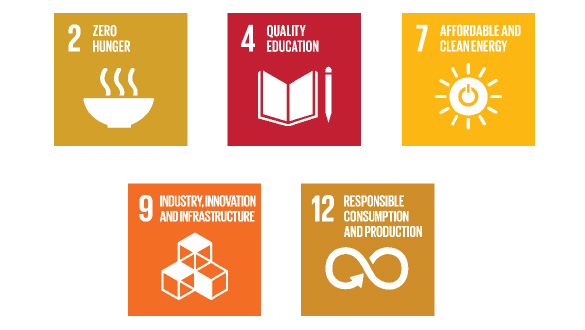 At UPL, we are fully committed to achieve the UN Sustainable Development Goals. We have 5 goals prioritized out of 17 SDGs for our business. Protecting the environment is our duty towards life. At every step, we are conscious of fulfilling our responsibility in sustaining our planet. We firmly believe in, and are committed to monitoring and improving environmental performance, pollution prevention and environmental protection. Adopt structured approach toward sustainability. Implement the code of practices of responsible care initiative to achieve international benchmark in pollution prevention. Comply with all applicable statutory and other requirement pertaining to Environmental Management system (EMS) as well as take necessary improvement to go beyond compliances. Follow the international environmental policies, best practices, efficient technologies to improve our environmental performance. Utilize the natural resources to meet the need of present without compromising the need of future generation. Conserve the natural resources by their responsible use and achieve reduction in our environmental footprint. Create culture of practicing environmental management system, procedures among employees to all level. Promote environmental awareness among employee & community. 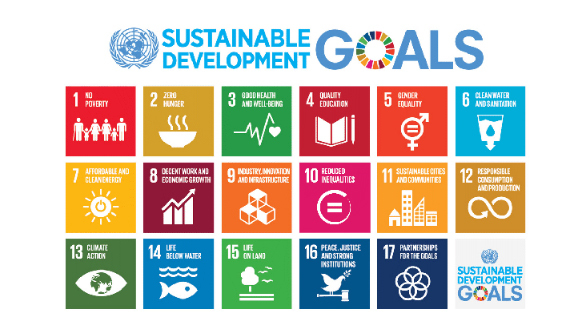 The United Nations (UN) adopted the “Agenda 2030” with a total of 17 Sustainable Development Goals (SDGs) in September 2015 to end poverty, protect the planet, and ensure prosperity for all. Our ambition is to achieve the “UN Sustainable Development Goals" to transform our world. 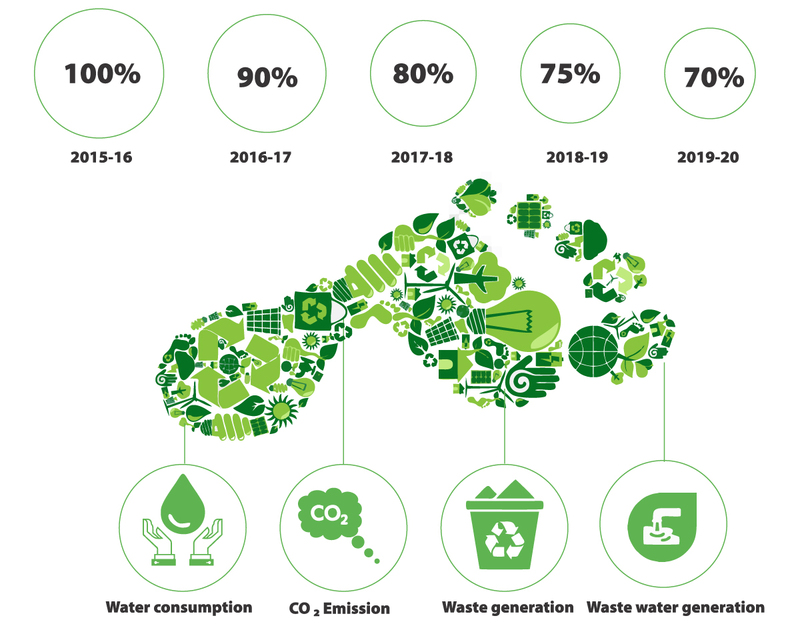 To align our UPL Sustainable Development Plan with UN Sustainable Development Goals, our Ambition is to reduce 30% Environmental footprint in our manufacturing plants by 2020. UPL is having dedicated technology group of more than 50 engineers & researchers lead by Director level person, continuously working to reduce the environmental footprint of company. To achieve our ambition, we make following plan to reduce our environmental footprint. Reduce the specific energy consumption by operational excellency. Use of eco-friendly fuels in utility system. Implementation of energy efficient equipment in manufacturing processes. Implement metering, monitoring & targeting (MMT) to ensure the efficient performance of system. Sustainable industrial water management plays a vital role in achieving future water security in a world. Reduce specific water consumption by operational excellency. Promote the use of harvested rain water in processes. Develop controlled discharge facilities for effective surface runoff management. Implementation of effluent segregation practice and stream wise treatment. Wastewater recycling and reuse to achieve zero liquid discharge by using energy & space efficient wastewater treatment technologies. Periodic internal/external audits to find root cause of excess water demand. Reduction of waste from packaging process by improvement in packing material. 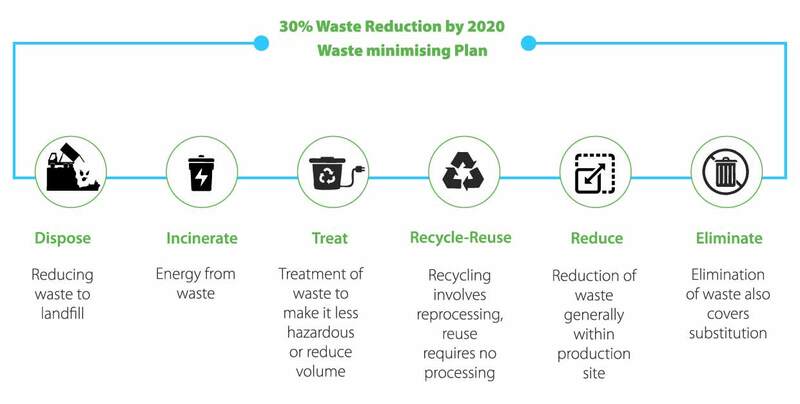 Redevelopment of manufacturing process to reduce landfill/ incinerable waste during operation. Recovery of value added products from waste. Utilizing of incinerable hazardous waste for energy recovery.